Text messaging is among the most popular ways to communicate in the whole world. It’s quick, easy to do, and it doesn’t require you pausing what you’re doing like phone calls do. We do understand that many people still prefer the human touch of talking on the phone and we respect that. However, let’s face facts, most people are texting these days. Let’s take a look at the best texting apps and SMS apps for Android to see if we can’t help you make your texting experience better. Do note that various texting apps will have issues depending on your device, Android version, carrier, and texting habits. That’s why we list ten of them! Here are some more texting apps and messenger apps to check out! Android Message is a free texting app by Google. In terms of features, Android Messages keeps it light. You’ll have some light theming options, some organization and backup features, and a decent search function. The design is entirely Material Design. That means it looks good and it’s easy to use. 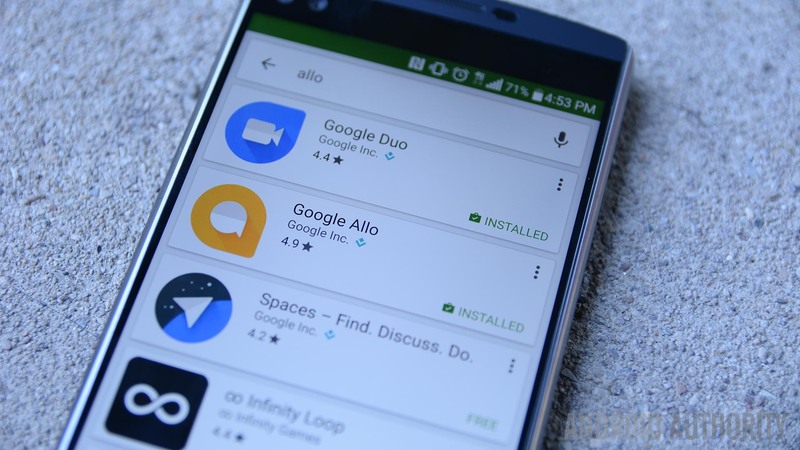 Google also has big plans for this app, including RCS support along with other neat features. This also has a web version for texting on your computer. However, it is a fairly sizable battery drain. Chomp SMS has been around since the good old days of Android and was one of the very first, really good third party texting apps. It has since evolved into an app that embraces Material Design while still having plenty of features. Some of them include emojis, SMS blocking, quick reply in the notifications, MMS, and group messaging. You can even stop a text mid-send if needed. It also comes with Android Wear and Pushbullet support. There are plenty of other customization features should you want them. We’ll be honest with you. Facebook Messenger isn’t a great app. It uses a ton of battery, storage, and RAM. It also has ads. However, chances are that you have it on your device. Facebook has tons of users and it’s likely you keep this around because you have those loved ones that just won’t switch to something better. If you’re going to have it around, you might as well enable its SMS support. That way you can kind of kill two birds with one stone. It has satisfactory SMS integration if that helps. It’s not the best option when it comes to texting apps. It is among the most convenient, though. Handcent, along with Chomp SMS, were the first two really good, really popular third party texting apps available on Android. Much like Chomp SMS, Handcent is a powerful and heavy texting application with a ton of features. Some of them include themes, a privacy box to store private conversations, SMS backup, eCards, emojis, and plenty more. One of the more interesting features is Handcent Anywhere, which lets you text on your computer and tablet if you want. It’s had its ups and downs in terms of bugs, but it’s usually pretty solid. Mood Messenger is one of the newer texting apps. It doesn’t have a ton of features. However, it seems to have the right features. It supports chat heads similar to Facebook Messenger. You can also get customization, theming, GIFs, location sharing, media features, and more. It also has a messaging service. Mood Messenger users can message each other without using SMS. In any case, the app is free with no in-app purchases and no advertising that we found. We’re halfway done! Here are some more app lists! Pulse SMS is one of the most unique texting apps on the list. It’s like any standard SMS app for the most part. However, there is also a back end that will let you text from your PC, tablet, and other devices. Additionally, it also supports dual-sim devices, blacklisting phone numbers, message backup, and more. Here’s how it works. The texting app part of this is completely free. Those who want to also text from PCs, tablets, etc can either pay $0.99 per month or a lifetime fee of $10.99. It’s a good way to kill two birds with one stone. QKSMS is among the simplest and best SMS apps. It’s open source and that’s always a nice touch. Additionally, the app comes with a bunch of features. Some of them include privacy features such as a blacklist, Android Wear support, and even some nifty accessibility features. Usage is as you would expect. It’s not going to blow your mind, but its simplicity is appreciated considering how heavy some texting apps can get. It’s free with no advertising. There are some optional in-app purchases as donations as well. Signal Private Messenger is actually a messaging app much like Hangouts, WhatsApp, Facebook Messenger, and others. The difference is that this one features end-to-end encryption and it’s been a favorite of many people who value security. It also works on a phone number system and if your contact doesn’t have the app then it simply sends a text message. We really liked how seamless that feature is. It’s simple to use, looks great with Material Design, and it is entirely free to use with no in-app purchases. 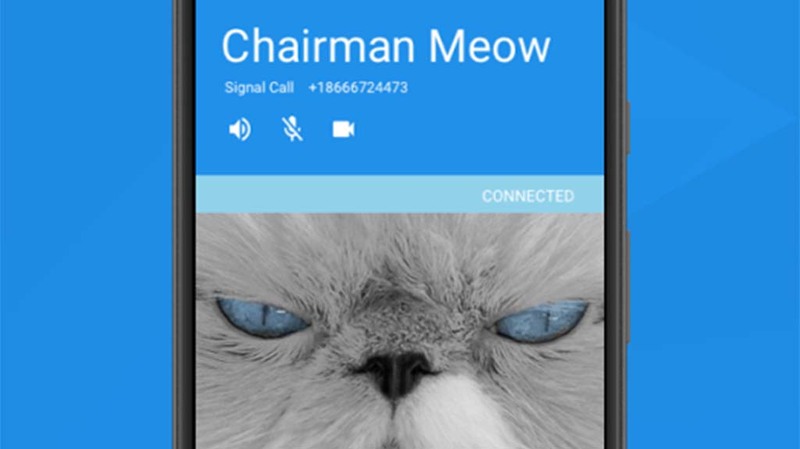 It’s also open source, supports group chats, and it’ll even make phone calls. Textra SMS is among the most solid texting apps on the list. This popular and highly stylish SMS app is also one of the highest rated on the list. It comes with a theme picker (you choose the colors yourself), a dark mode, floating notifications, delayed sending, slide to delete, and plenty of other features. It also comes with direct support for Android Wear, Pushbullet, MightyText, and others. You can use most of the features for free. There is a single in-app purchase for $2.99 to unlock the pro version. YAATA SMS is one of a few up and coming texting apps that are really good. It has a bunch of features, including group chat support, schedule message sending, and complete MMS support. If you buy the premium version, you’ll also get SMS blacklisting, an auto-responder, auto-forwarding, and the ability to backup and restore your settings in case you buy a new device. It uses Material Design and it looks quite good. It also comes with widgets, and it even has chat heads similar to Facebook Messenger. There are some bugs, but most of them aren’t serious. Thank you for reading! Check out a few more shameless self promotions! If we missed any of the best texting apps and SMS apps tell us about them in the comments! Previous articleWhat could be some reasons appium automation tests pass on home wifi but fails on work wifi?